St. Cloud State University has over 16,000 students and is located in St. Cloud, MN. It has 19 Division II sport teams and its men’s and women’s hockey programs are Division I, but when it comes to broadcast technology, St. Cloud State is in a division of its own. When Derrick Silvestri, TV Studio Manager at the University, decided to upgrade the broadcast systems to HD, he knew it was going to be a massive project. 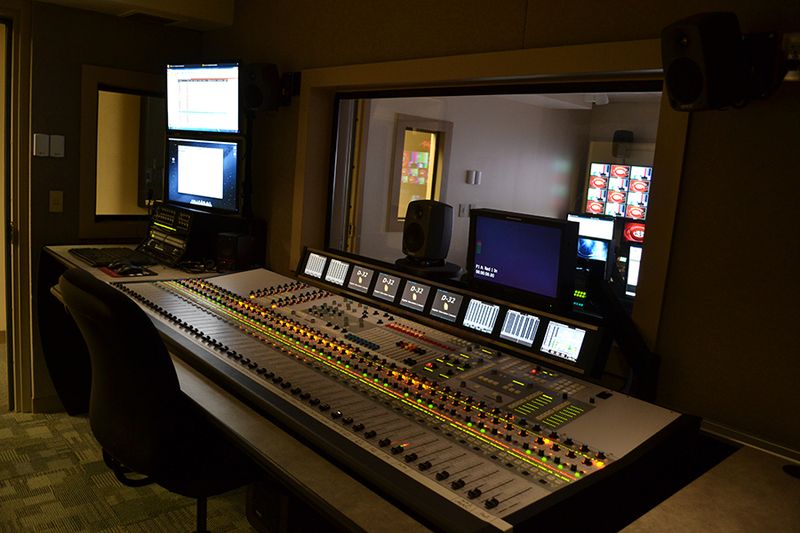 He wasn’t going to upgrade only one stadium control room, one news studio, or one student broadcast lab. He was going to upgrade everything at once. 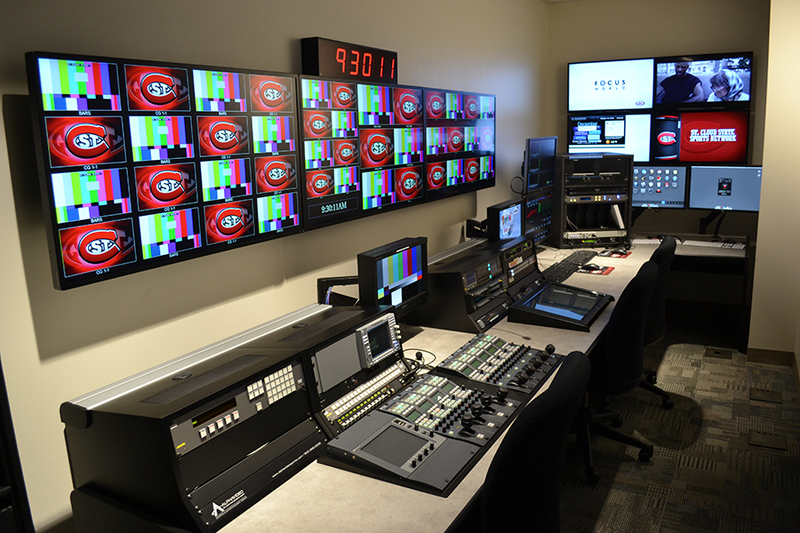 Silvestri’s challenge began with providing HD broadcast capability for three separate sports venues: the Husky Stadium for football, the Halenbeck Hall for basketball, and the Herb Brooks National Hockey Center. 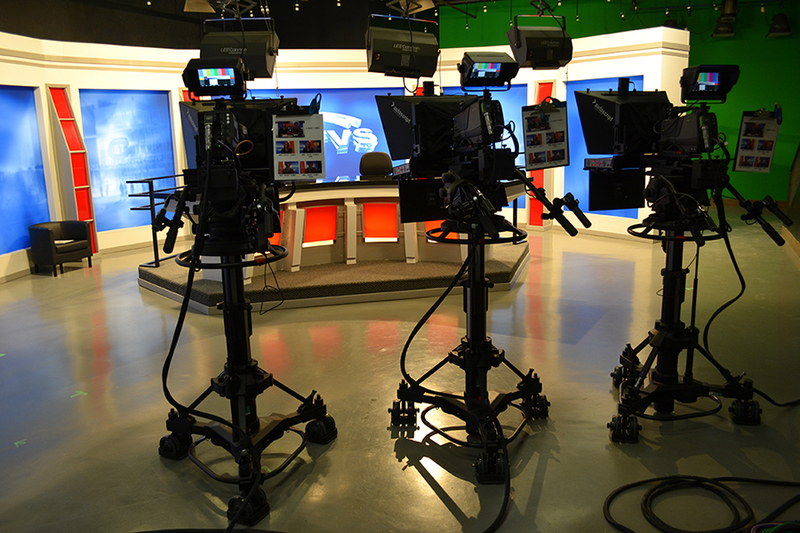 Additional challenges included upgrading two separate news and sports broadcast studios, two video control rooms, a central equipment room, a media control room, a master control room, and installing a fiber cable network to connect all of it. The final challenge was to incorporate all of this technology into the Mass Communications Undergraduate program. A major objective for the upgrade was to provide real world experience with the latest technology so that students graduating from the program are qualified for positions in the broadcast industry. One of the major product requirements for the project was the need to support both Triax and fiber on the cameras since all the cameras would be used both in the studio and on location. 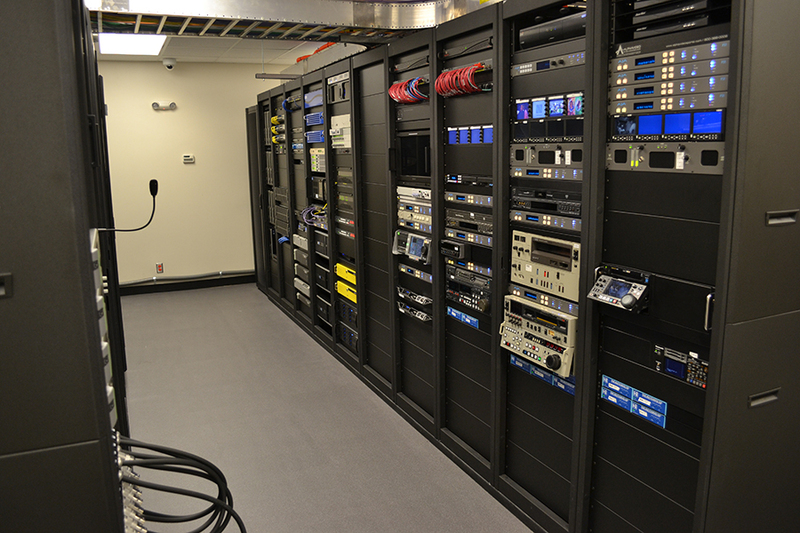 The university ordered nine Grass Valley LDX cameras with 3G Triax to 3G Fiber Converters. Additional Grass Valley equipment included two Dyno Replay Systems and one Karrera Video Production Center. The control room routing platform that was selected includes two Evertz 288x288 EQX Routers along with eight Evertz 7867VIP Multi-Image Display Processors. The audio control is provided by a Wheatstone system that includes one D-32 Audio Console and one Wheatstone D-8 Audio Console. Additional advanced components of the installation include a Chyron CAMIO Graphic Asset Management Server and one Editshare Xstream Workflow Director Server. A Tightrope HD Video Server was installed to schedule content to four channels: the 24x7 sports channel, a campus bulletin board digital signage channel, a movie channel for the student dorm rooms, and the UTVS PEG station for the city and surrounding areas.